If you’ve always wanted to own a dog but you cannot deal with tumbleweeds of dog hair around your home, or if allergies have always held you back, worry no more. 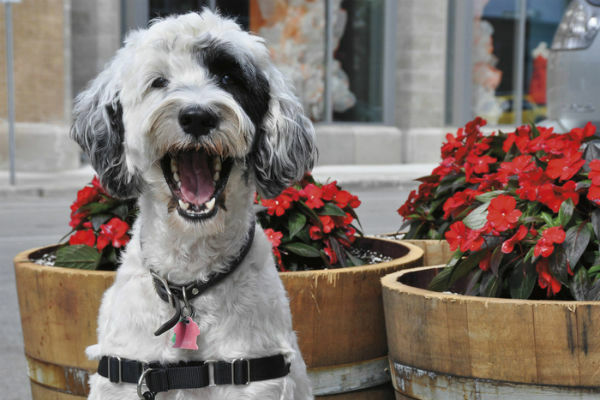 We’ve compiled this list of the best dog breeds to own that don’t shed. Some breeds have hypoallergenic coats that produce much less dander, which is attached to the hair and causes most allergens in humans. 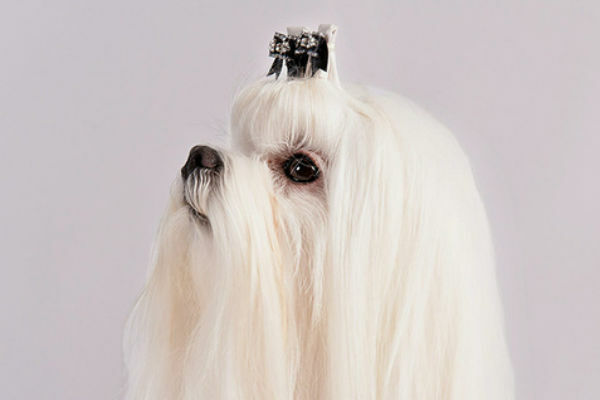 Read on to learn which breed best fits your lifestyle. Afghan Hounds can be independent, but sweet and loyal. They resemble Greyhounds in terms of body shape and size. They have a high energy level, and therefore require regular exercise. 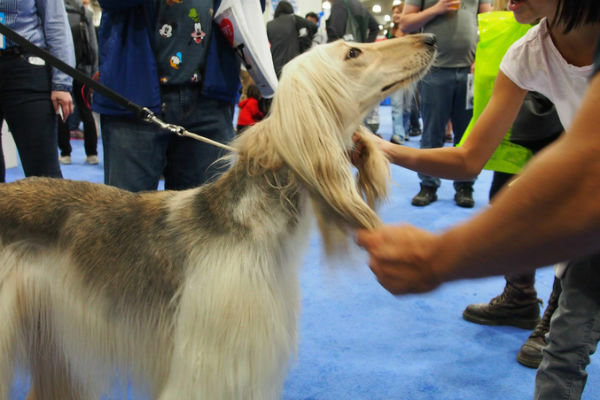 Their coats are long and silky, and although they don’t shed, they should be bathed and brushed at least twice a week to maintain the softness and luxuriousness of their coat. This breed is a lively, friendly companion that displays great affection for their owners and family. They are lightly energetic and will be satisfied with a daily walk. Although their lack of a coat makes them unsuitable for hunting, they do have a strong hunting instinct. Occasional baths will keep this breed’s skin healthy and looking its best. 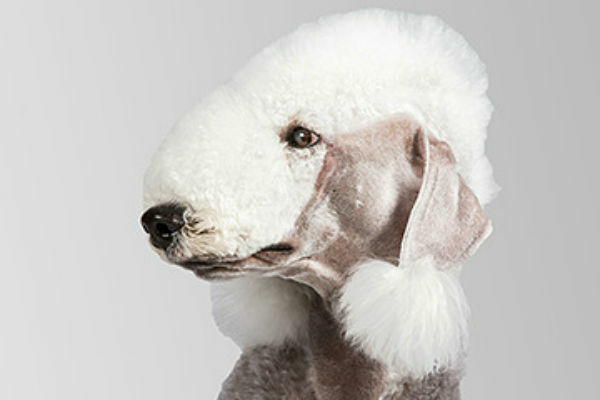 The Bedlington Terrier has a unique appearance and coat: from their narrow head to their curly coat of hard and soft hair that resembles that of a lamb. They require little grooming, just an occasional trim. They should also be brushed regularly to prevent any mats in their coat. Their coat is also hypoallergenic. Daily walks and playtime will keep this dog happy. The Bichon Frise resembles a miniature Poodle with its white color and soft, curly coat. 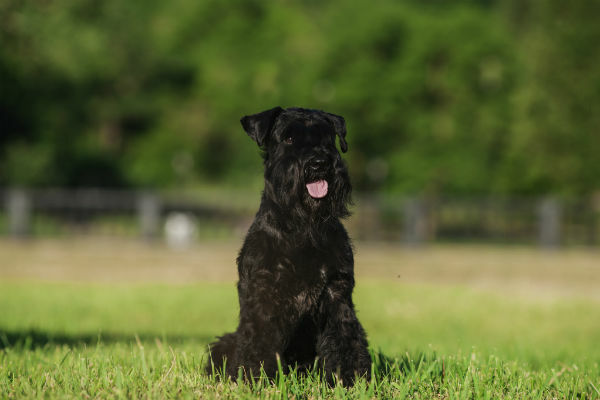 This breed is ideal for people with allergies, as the coat is hypoallergenic to most. Grooming is a must for this breed to prevent any mats, since their hair will continually grow but not shed. This is a naturally friendly, playful breed, and a perfect dog for a first-time owner. These playful little dogs are similar in appearance to the Chihuahua, with their small size and overall body shape. However, they are mostly hairless and have hair only on their head, tail, and feet. This makes grooming easy — baths will keep their skin clean. Their skin should be protected in extreme temperatures and weather with sunblock in the summer and sweaters or coats in the winter. Pronounced “coTAWN day two-LEE are” this dog is also known as the Royal Dog of Madagascar. They have an affectionate temperament and soft, long white coats. Although they do not shed, they should be groomed regularly. Brushing several times a week with a special pin brush will maintain a full, mat-free coat. 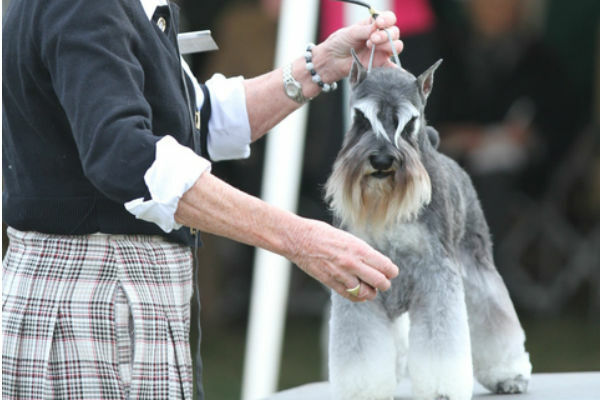 The largest of the Schnauzer varieties is protective, active, and loves having a job to do. 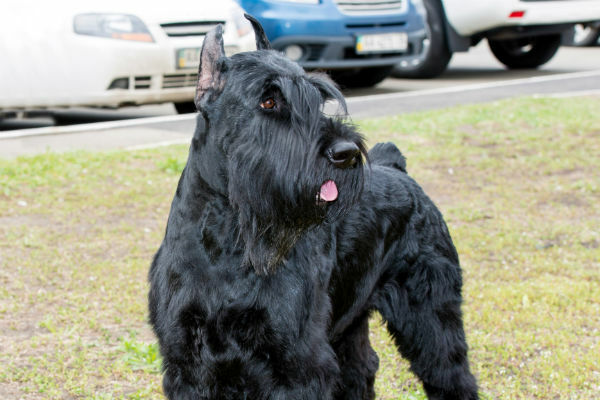 They resemble the Standard Schnauzer more than the Miniature Schnauzer. Their coats are hard, wiry, and dense. Their hair grows continually, and should be clipped and brushed regularly. Known as the clown of the spaniel family, Irish Water Spaniels have a water-repellent double coat that should be brushed every couple of weeks. They have a thick, curly coat all over their body. Irish Water Spaniels are very playful and energetic and should get exercise daily. 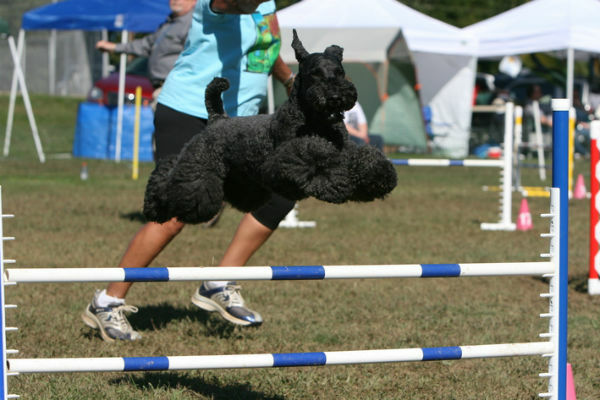 Kerry Blue Terriers are a people-oriented, intelligent breed. They have a soft, dense coat that should be brushed and trimmed regularly, especially the long hair on their face. Their coats are hypoallergenic, and suitable for those with allergies. This breed is highly energetic, active, and affectionate. They are loyal and loving to their owners, making them great companions. Their thick, wooly coats are similar to that of a Poodle. Grooming needs include the occasional trimming of their coat. They are hypoallergenic and do not shed. 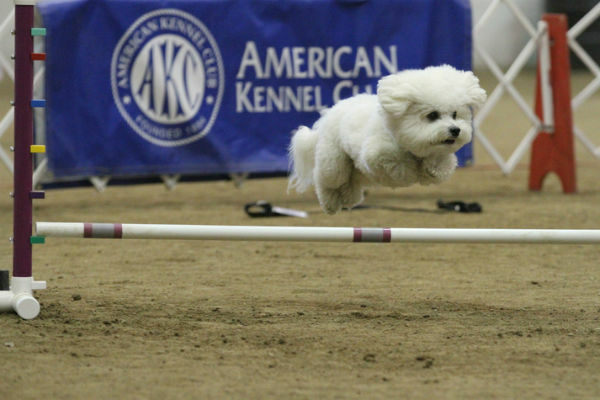 Maltese are tiny, yet fearless. They have a youthful expression, making them look like lifelong puppies. They are gentle and playful and not overly energetic. 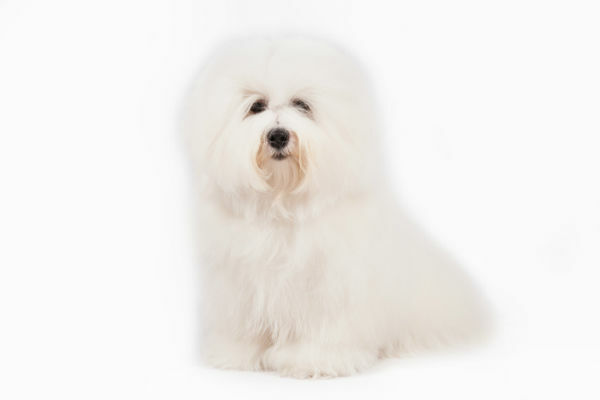 Their hypoallergenic coats are soft and white and should be brushed daily, especially if kept long. Miniature Schnauzers have a protective nature, making them a great watchdog. They adapt well to different living environments and are generally healthy. Their double coat requires occasional trimming, but sheds very little. They are obedient, moderately energetic, and easy to train. 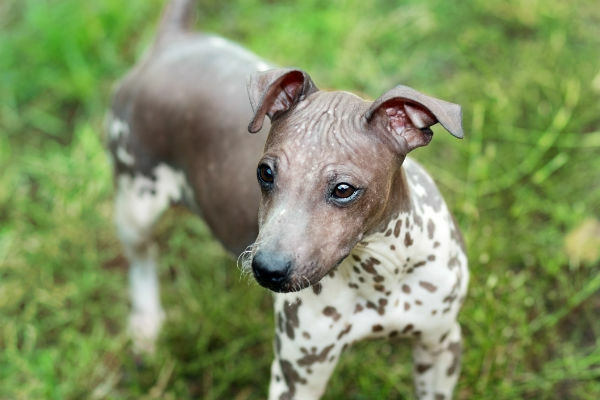 The hairless variety of this breed comes in three different sizes: small, medium, and large. They are affectionate, loyal, and can be very protective. They require daily exercise for their energy needs. It’s important to take care of their skin during their first year, and keep them out of the sun without sunscreen. Poodles come in three sizes: standard, miniature, and toy. Commonly pictured in their famously fluffy show cut, they have a soft, single coat of curly hair that is virtually hypoallergenic. 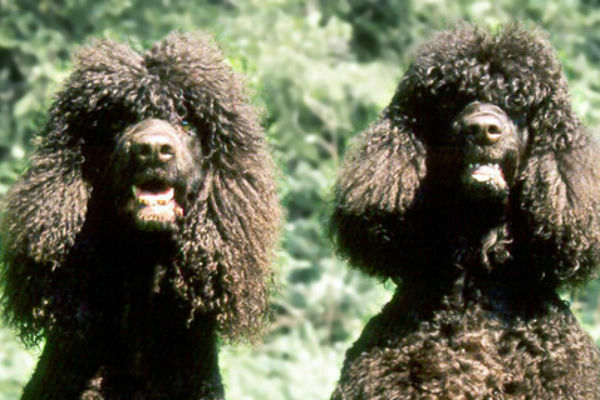 They won’t shed all over your sofa, but just like humans, Poodles can and will shed a few strands of hair at a time. Brushing at least once a week will greatly reduce shedding, as well as the chance that they will cause an allergic reaction. These dogs would do best in an active family, as they are highly energetic. They are adventurous and fun-loving dogs. Their coats are profuse, curly or wavy, and waterproof. 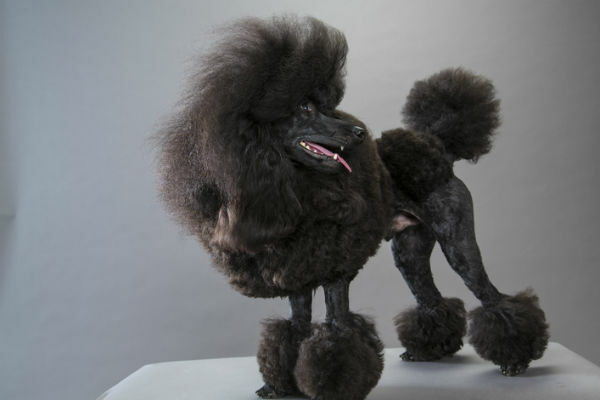 They are hypoallergenic, but should be groomed regularly. This breed is playful, active, and needs daily exercise. They adapt well to their living environments and are good with children. 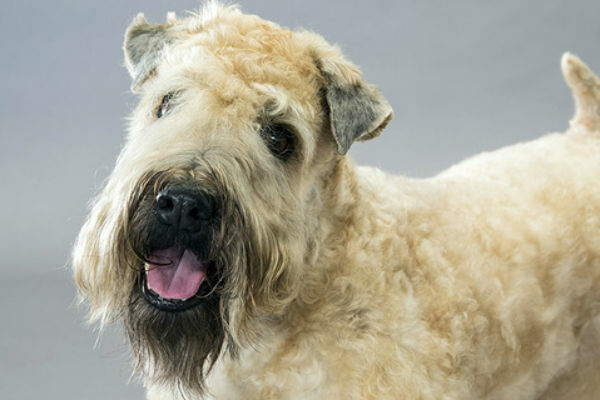 They have a soft, single-layer coat of wheaten colored hair that should be maintained regularly to prevent any mats. 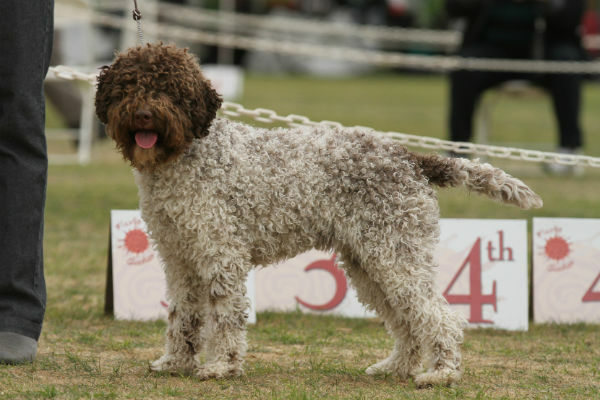 The Spanish Water Dog is hard-working, affectionate, and loyal, making them great watchdogs. They do have a medium energy level and would do best with an active family. 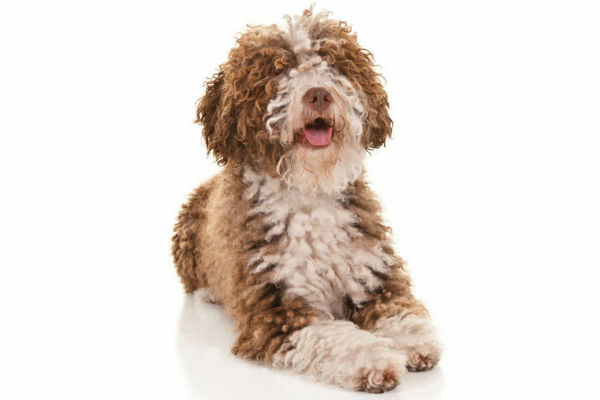 No brushing or combing is needed for their curly coat, but they should be shaved at least once a year. The “medium-sized” member of the Schnauzer family, the standard, is fearless and affectionate. Standards become true members of their families and especially love children. Their beard and leg hair should be brushed regularly to avoid mats. Hand stripping or clipping the hair are common forms of grooming. 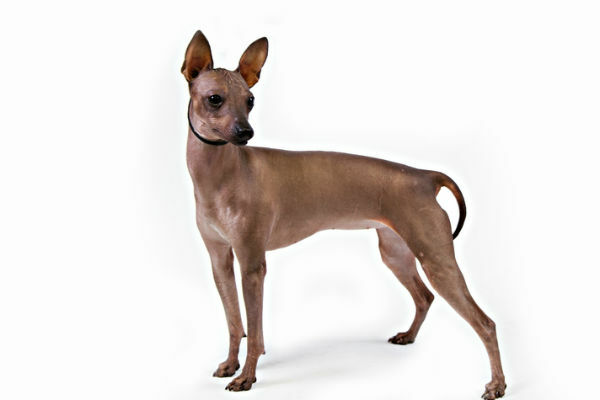 This breed comes in three sizes – toy, miniature, and standard, as well as two varieties: hairless and coated. 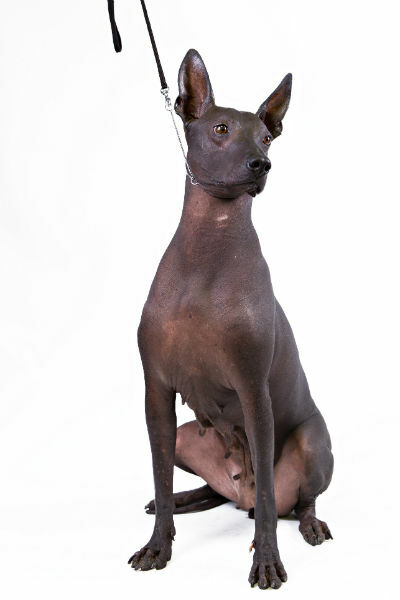 The hairless Xolo has smooth, protective skin and the coated has a short, flat coat. They have moderate exercise and grooming needs. 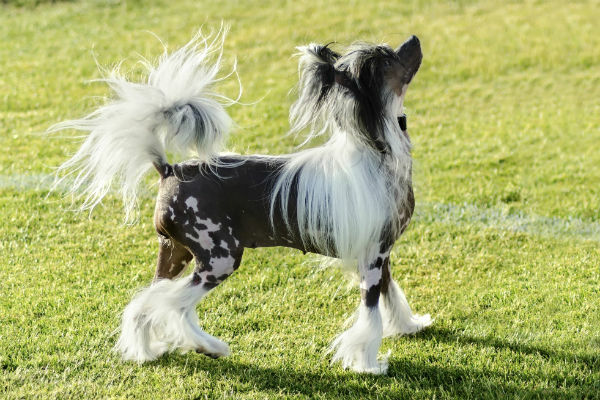 Coated Xolos should be brushed occasionally, and like the Chinese Crested, hairless Xolos should always have their skin protected in harsh temperatures: sunblock in the summer and proper covering or dog clothing in the winter.